Runners, Walkers, Strollers are all welcome. Join us in participating in the annual Crete Country Christmas 5K as part of Country Christmas! Runners, Walkers, Strollers, all are welcome! The race will benefit the Crete Food Pantry. We ask all participants to bring a nonperishable food item to donate to the Pantry on the morning of the race. Satisfaction of completing a 5K in DECEMBER! Start and Finish will be Division and Wood Street. All pre-race and post-race activities including bib pickup will be in the Country Christmas Lodge located on Cass Street. J3 Timing will be on hand to provide finish times to all runners and walkers participating in the 5K!! 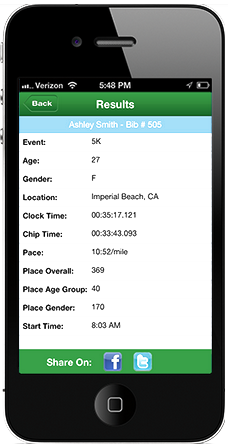 The timing is based on bib number, so please have your bib number displayed at all times while running the race. Please note results are not official until after the event. Awards will be given to the male and female top 3 in each age division (14 and under, 15-24, 25-34, 35-44, 45-54, 55-64, 65 and older) and the overall male and female finishers. Male and female overall winners will receive a $75 Gift Certificate! The Country Christmas 5k race is held rain or shine. In the event of lightning, the race will be suspended until we can ensure the safety of all racers before continuing the race. race registration also available at packet pick up on Friday - cash or check only. You MAY pick up someone else's packet however you MUST sign a pick-up form. Available race morning, December 8 from 7:00-7:45 am at the Christmas Lodge located on Cass Street. Strollers are welcome. No rollerblades, scooters, or roller-skates. No pets please. Walkers and participants with strollers please start in the back.